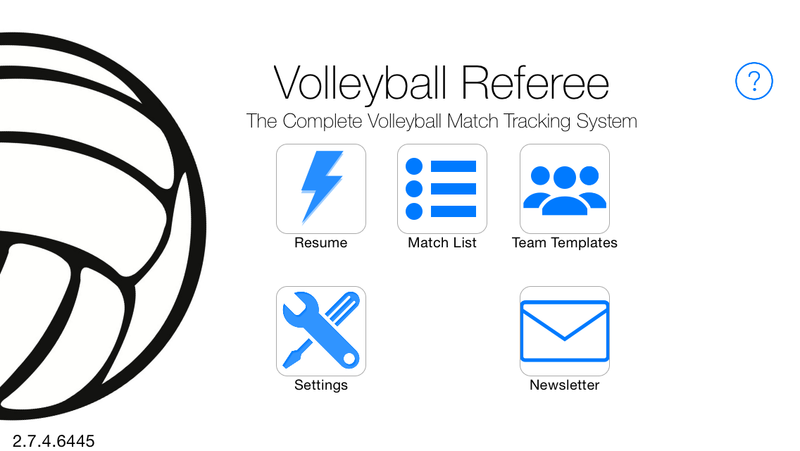 Volleyball Referee is a Volleyball match manager that takes care of the tedium of tracking the various events that occur during a match, allowing everyone to have an accurate view at all times. 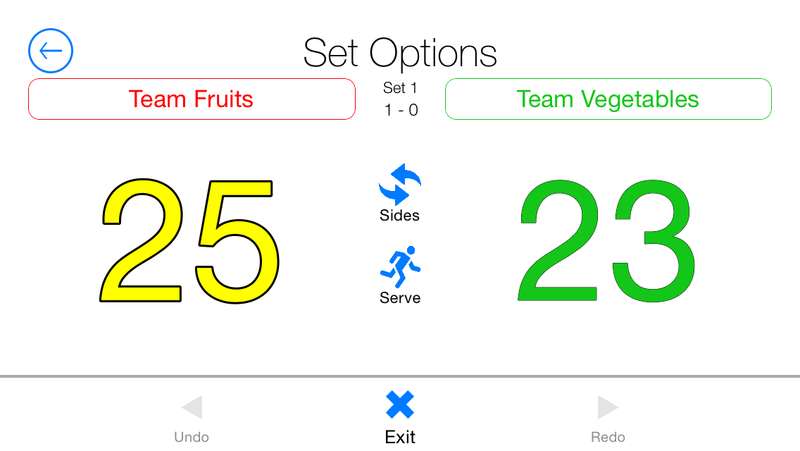 Volleyball Referee frees you to focus on the action on the court. All of the relevant information for your match is available at a glace: score, players names and/or numbers, current serving player, current serving team, starting position numbers, position substitutes, libero substitutions/positioning, sanctions and more. A running game log on the bottom of the screen shows all the events that have occurred since the last point. Set the primary and secondary colors for the teams. You can also choose from a list of predefined color templates. In addition, you can predefine the roster and have it automatically used when starting a match. At the end of any club level match lies the daunting task of verifying the scoresheet. Volleyball Referee takes the guess work out of any discrepancies. 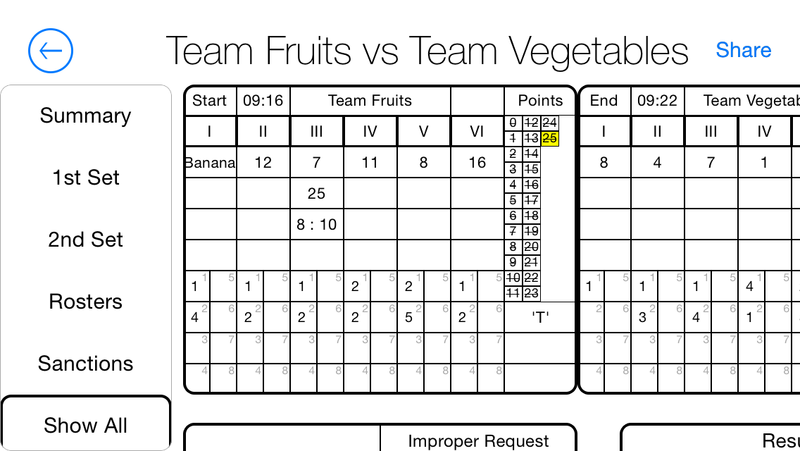 You have the entire completed scoresheet that can be sent to anyone via email, text message, facebook, twitter and more. Purchase Referee for an extra pair of eyes to manage your volleyball match. 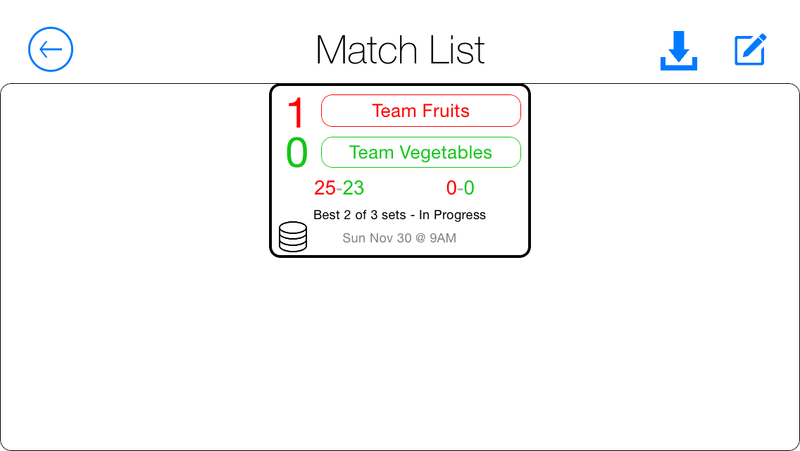 Referee tracks everything will also provide a completed FIVB scoresheet at any time. This ensure that the paper sheet is completed accurately. 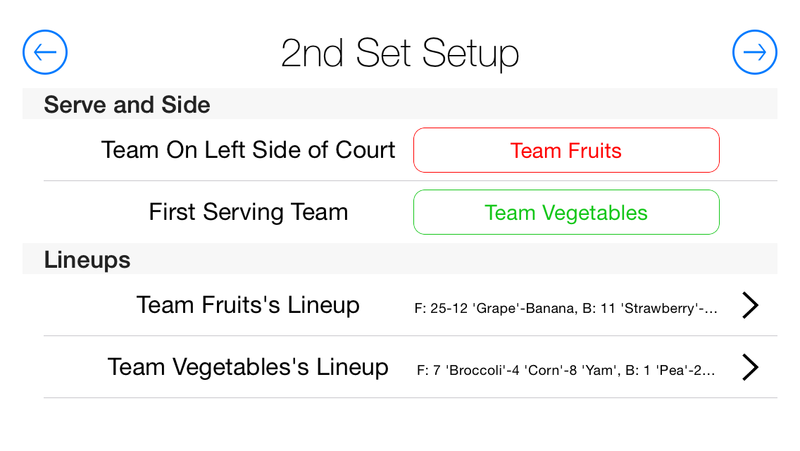 Use the app to track your child’s performance on the court. 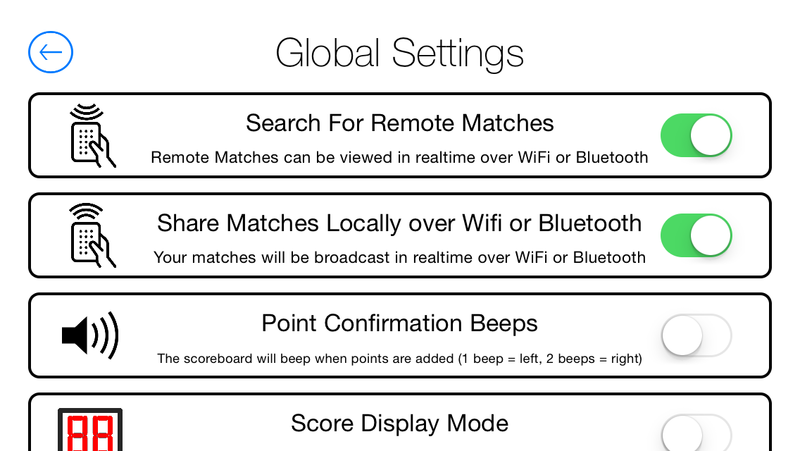 Referee allows you to stay engaged in the match and in your child’s performance. If your ‘better half’ plays a lot of volleyball, they will appreciate that you engaged and helping by tracking things like the score, who is serving and what team is supposed to rotate. Volleyball Referee isn’t just for club players. It supports many local or novice rules like ‘5 service maximums’ or static positions (players do not rotate but the serve does). What devices does Referee support? Referee is compatible with any Apple device that supports iOS 7. This includes iPhones, iPads, iPod Touches and iPad Minis. One purchase on your iTunes account will enable the app to be run on all of your devices. Does Referee support player names? Yes. Player names are supported. In addition, player numbers are supported from 0 to 99. A player can have both a name AND a number. Does Referee support technical timeouts? Yes. Technical Timeouts will be called when the first team reaches 8 and 16 points. Does Referee support libero serving? It sure does! When a libero is in position one and serves a point, the position will be marked wtih an L. Should a libero attempt to serve in a different rotational position, Referee will show a dialog informing of the foul and allow you to decide to impose a penalty or ignore the infraction. Is there a trial version I can download? Does Referee support fixed match lengths? Yes. 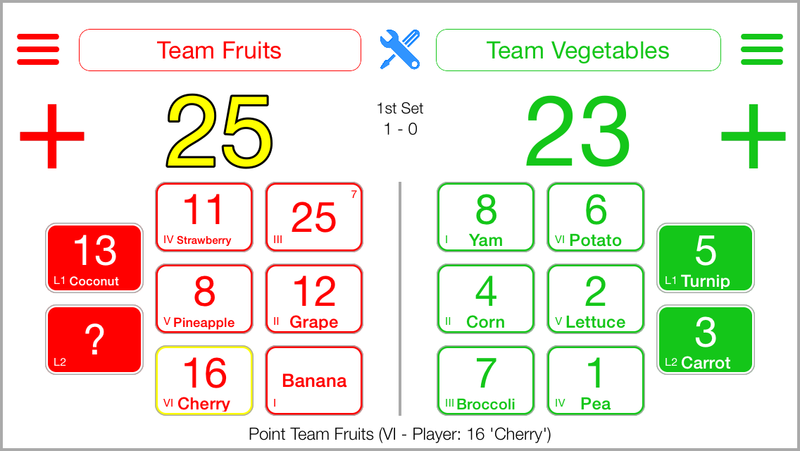 You can specify the length of your match, including subtleties like “My match is a best of 5 where the first four sets are played to 25 with a point cap of 27, win by two. The final set is played to 15 with a point cap of 17, win by two. Does Referee support custom timeout lengths? Yes. 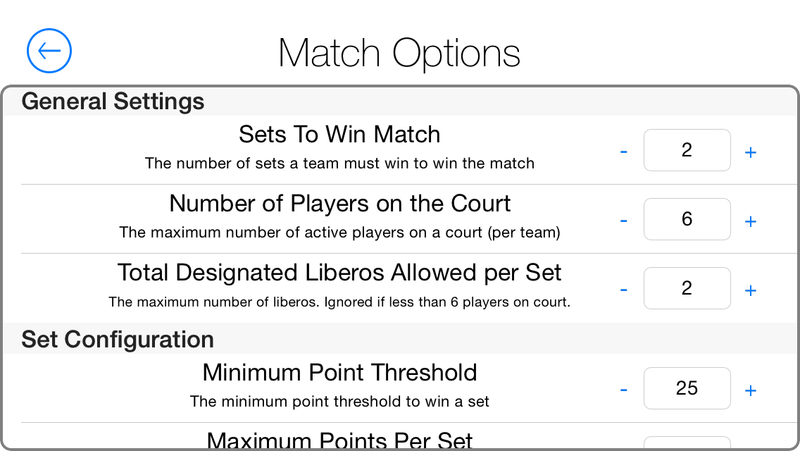 You can specify the length of your timeouts in the match options in 15 second increments. How do I fix mistakes? Referee has full undo and redo support. Simply undo the incorrect action and perform the proper one. What limitations are in the Free Edition? Can I request a feature or ask a question not covered here? Of course. Please submit your feedback using the contact form below. It is the goal of Volleyball Referee, to make match recording as simple as possible and all ideas are recorded in our feature tracking list.